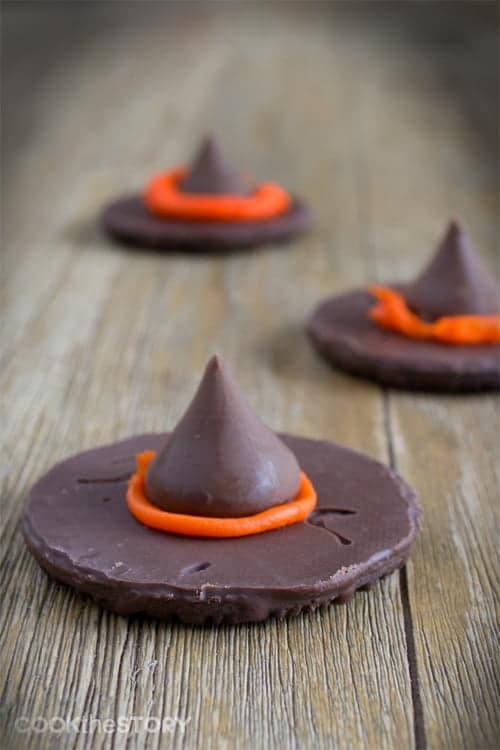 These Chocolate Witches’ Hats only use 3 ingredients and are a snap to make. They’re so easy that my kids can even make them themselves! 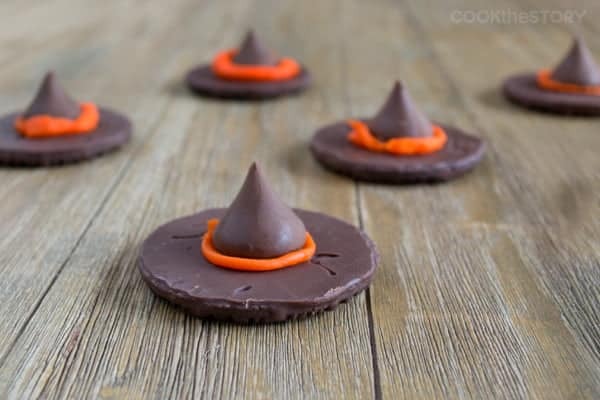 These chocolate witches’ hats are super simple and only need three ingredients: Hershey’s Kisses, chocolate covered cookies and a tube of icing. Best of all, they’re easy enough that my kids can make them. Here’s my son, back when he was five years old, demonstrating how they’re made. He’s eight now. It makes me wonder how different a video of him making them now would be. I better get on that! 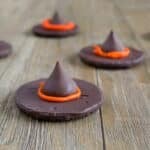 I hope you love making these chocolate witches’ hats with your kids as much as we love making them together. 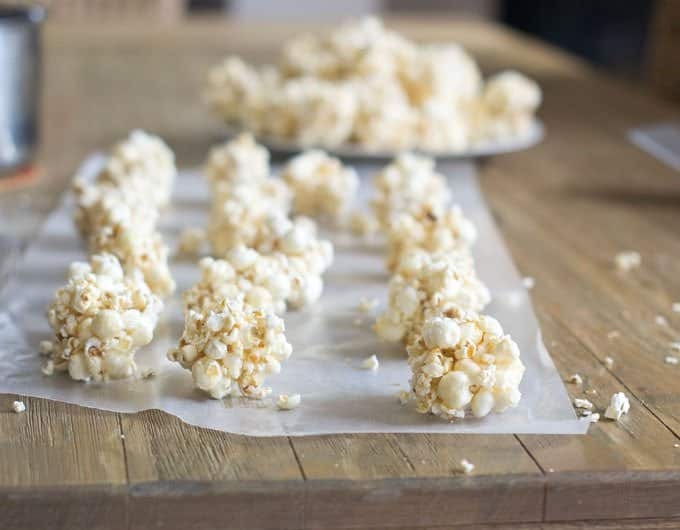 If you’re looking for another fun Halloween treat that your kids will love, check out this tutorial on how to make popcorn balls over on my sister site, The Cookful. 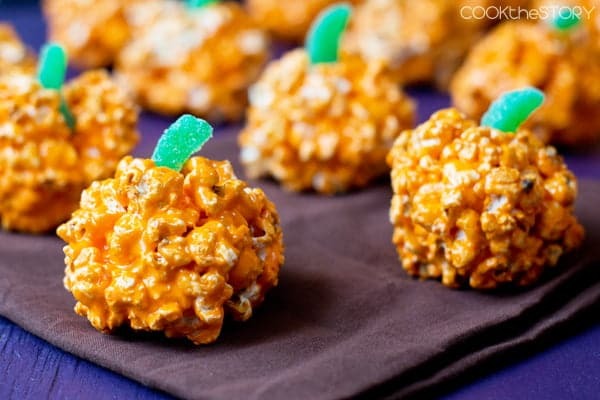 These are so tasty and you won’t believe how easy and fun they are to make. Here’s that witches’ hat recipe for you. Have a great day! 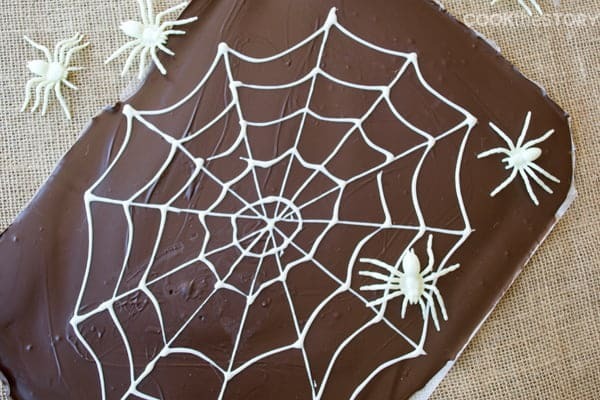 This recipe is so easy that a 5-year old will demonstrate how to do it. Watch the video here. Put a cookie on a plate, solid-chocolate-side-up (striped-side-down). Squeeze about 1/2 teaspoon of the icing onto the flat side of one Hershey's kiss. Hold the kiss so that it's icing-side-down. Place the kiss over the hole in the cookie so that the hole is completely covered. Push down on the kiss gently to spread the icing around the kiss, adhering it to the cookie and causing the icing to form an orange band around the base of the kiss. This post originally appeared in October, 2013 and was revised and republished in October, 2016. 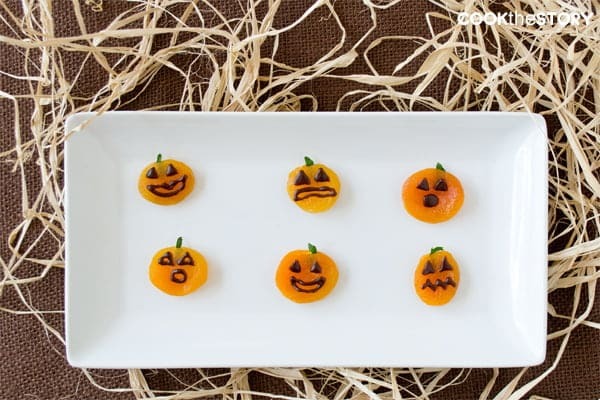 I just made these too :-) Too bad I don’t have an adorable 5 year old to help me make them! So happy to hear you gave them a try. They are so cute! Halloween is over but my kids are still asking for them!